This entry was posted in people and tagged ?? ?, Li-ching Chang, Victor H. Mair, Zhang Liqing by Pinyin Info. Bookmark the permalink. I send my deepest condolences to the Mair family. This is very sad news. I would like to offer my condolences to her family and wish them a lot of strength. My condolences. Her translation of “The Historical Evolution of Chinese Languages and Scripts” by Zhou Youguang has been my main resource in my study of pinyin. Sincere condolences to to her family and friends. So sorry to hear this news, I remember her fondly as a wonderful teacher. My deepest sympathies to the family. 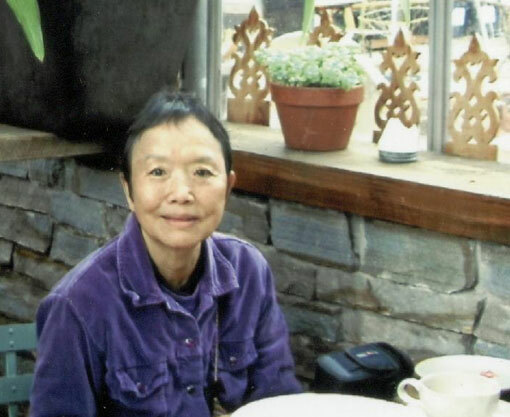 Zhang Laoshi was a wonderful inspiration to all of us Chinese language students at Swarthmore. And her care and dedication to teaching made a life long impact on us all. Thank you Zhang Laoshi for all you did. Without you I wouldn’t be where I am today. You are in my prayers. Zhang Laoshi was beautiful, kind and a splendid teacher. God bless her! Li-ching was an inspiration to people battling debilitating disease and those who love them. Her model of courage, creativity and zest for life shines brightly for us all. May her family and friends be comforted in their loss.